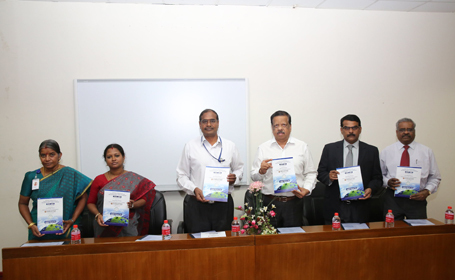 The Department of Chemistry and the Centre for Clean Energy and Nanoconvergence (CENCON) jointly organized a one-day National Conference on Chemistry Driven Clean Process and Alternate Energies – Scope & Challenges on 07 February 2018 at Padur Hall, Dr. K. C.G. Verghese Research and Resource Centre. 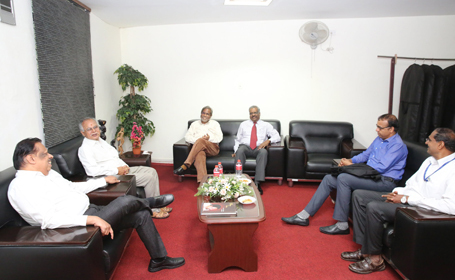 Dr. S. Induja, HOD, Chemistry welcomed the gathering and Dr. S. Ramachandran, Vice-Chancellor gave the presidential address. He appreciated the efforts taken by the Department of Chemistry in organizing this event. 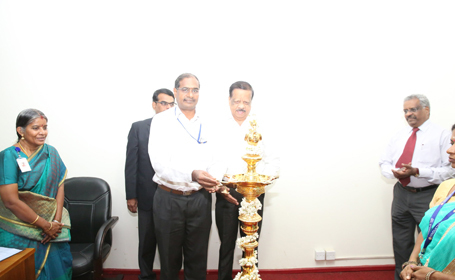 Following the address by Dr. G. Ilavazhagan, Director (Research), Dr. D. Mohan, Associate Dean (Research), introduced the Chief Guest of the Inaugural Function, Dr. R. Jayavel, Director, Centre for Research, Anna University, Chennai. The Chief Guest, in his inaugural address, emphasized on the need for clean process and quoted the current status of electric vehicles and the expected projection in 2020 and 2040. He also released the Book of Abstracts for NCCP 2018 and presented to the dignitaries on the dais. Participants of the conference was 60 and it included research scholars, faculty, students of B. Tech., B. Sc. (Food Technology) and M.Sc. (Chemistry) and invited speakers. 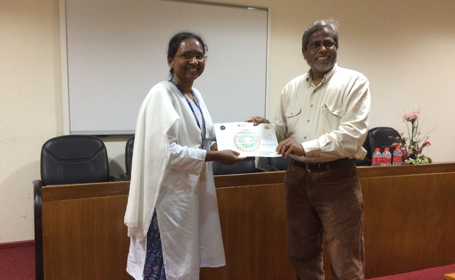 All the scientific sessions were attended by research scholars from institutions such as IIT Madras, Chennai, CSIR-CLRI, Chennai, SRM Institute of Science and Technology, Chemistry, Physics, Biotechnology and CENCON departments of HITS. 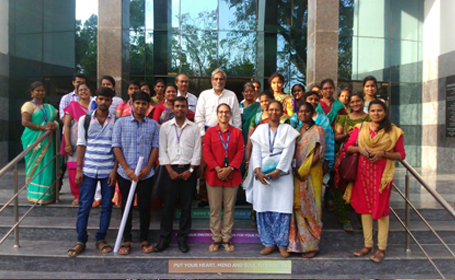 Also, research scholars from SSN Engineering College, Presidency College, KCG College of Technology, Sri Sairam Institute of Technology and Loyola College attended the conference. Research Scholars from Industries such as Par Actives, Alathur, Pfizer Ltd, Chennai and Entreat Laboratories also attended this conference. 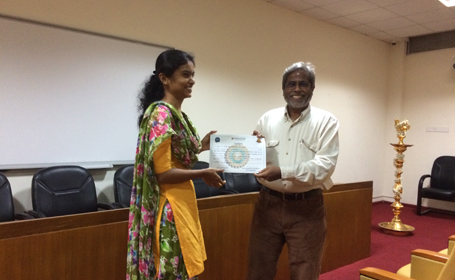 In the valedictory, Dr. C. Namasivayam, distributed the best paper awards in the field of organic and bioorganic chemistry to Mr. Arun Prasath (IIT Madras, Chennai) and Ms. Swathi Pon Sakthi (Stella Maris College) and best paper awards in the field of inorganic materials and catalysis to Ms. Angeline Dorothy (CENCON, HITS) and to Ms. Subha Nallasivam (SSN Engineering College). Finally, he suggested the research scholars to make use of the knowledge gained and ideas shared through mutual interactions during the conference for the development of their research.